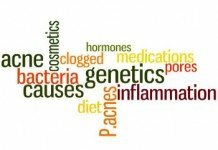 When it comes to acne treatments many people have to regularly resort to heavily medicated treatment options. Some of these are only available on prescription and can contain some potent drugs and anti-biotics as well. But prescription treatment is not cheap when you consider a visit to your doctor and the cost of filling the prescription. This doesn’t mean that you should never consider it, but it’s important to know that there are alternative options available. Most prescription treatments work in two ways. First, they deal with the bacterial infection most commonly with anti-biotics. This is usually fast and effective. Secondly, the inflamed and damaged skin needs to be repaired which usually takes time. This is where there are great alternatives to prescription creams. Retinol is one such over the counter active ingredient that does a few things to help your skin recover faster. First of all it triggers an increased skin cell turnover, and then it stimulates the processing of collagen. It’s not a magic bullet that you apply at night time to get up in the morning to glowing and clean looking skin. 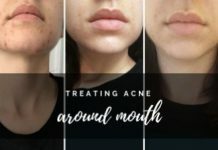 But if you want to seriously speed up the recovery time from an acne outbreak then you definitely have to give it a try. On this page you will find the best and most effective retinol products available that you can easily add to your daily routine. Click here’s to see our No. 1 pick as the Best Retinol Cream for Acne. 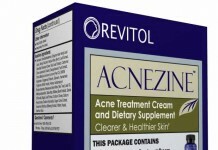 How Does Retinol Treat Acne? If you’re in a rush, below are the best Over the Counter Retinol Creams for Acne, hands down! Best For Oily, Acne Prone Skin, And Sensitive Skin. Natural ingredients along with retinol. Recover damaged skin and boost elasticity. Remove the signs of ageing. Best For All Skin types especially oily skin. Helps keep the skin moist and healthy. How to Use a Retinol Cream? How Often Should a Retinol Serum Be Used? Retinol is wildly advertised by retinol creams and retinol serums as a miracle worker but is it really all that amazing? Let’s take a look at how retinol works first. Retinol is basically Vitamin A and works by accelerating the growth and discarding of dead skin cells. This makes the cells less likely to fall into pores as well which leads to less blocked pores. This process of accelerating the death of skin cells on the surface in turns speeds up the growth of healthy skin cells underneath the surface. This also makes it extremely effective at preventing and removing wrinkles. Retinol also prevents the breakdown of collagen which gives skin its elastic texture. The presence of healthy amounts of collagen in the skin essentially gives the skin its suppleness and glow. Not only does retinol help reduce acne, but is also generally very healthy and beneficial to the skin. According to the book “Retinoids: Advances in Basic Research and Therapy”, Retinol proved extremely effective against acne. 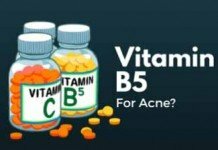 An experiment recorded within this book reports marvelous results of using vitamin A and retinol with 85% of the recipients displaying very significant improvements. The recipients were all victims of long standing inflammatory acne and other skin problems. Notably as well, the same experiment showed better results in women with none of the women showing less than significant improvement and a large majority showing more than 75% improvement. 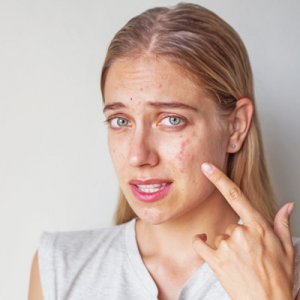 This cannot be understated that such results are very strong indicators of retinol being very potent against acne as well as other skin problems. The facts and experiences supporting retinol are indeed very strong, which is why it is one of the favorite products recommended by Dermatologists. 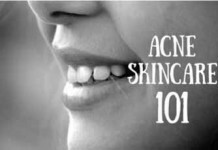 Besides, we also need to know how retinol treats acne. 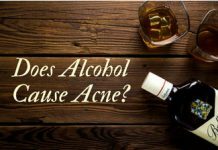 And what benefits it provides that lead to an improved acne condition. So, let’s move on to our next section which gives a brief insight on how retinol treat acne. They treat and prevent acne by unclogging pores from different impurities. Normalize skin’s cell turnover process that generates a new skin. 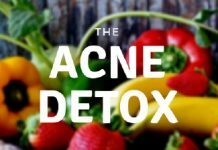 Work as anti-inflammatory agent and heal your acne scars. Improve skin discoloration and texture. 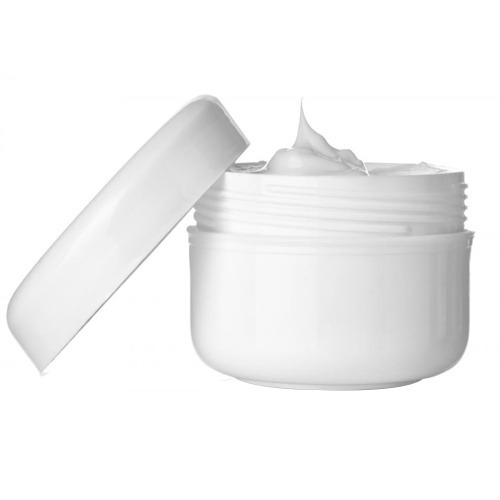 This means that if you are looking for a retinol cream or product at an online store or drugstore, you will easily find one. But in case you need to have a stronger retinoid you will have to make an appointment with your dermatologist. Dr. Levin also recommends that expecting or nursing mothers should completely avoid retinoid products altogether. Typically, dermatologists swear by retinol and count it as a “must-have” for everyone just like an SPF. According to different researches retinol can tackle a number of various skin conditions that include acne, fine lines and wrinkles, rough and uneven skin tone. Some people tend to stay away from retinol thinking that it is harsh on the skin. Although, it is not. Those stinging burns, flaky and lobster-red skin are just a retinol lore and lack any proper evidence. 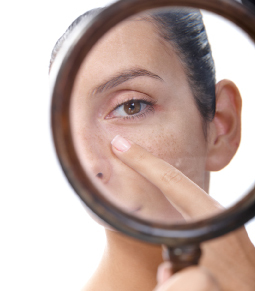 Actually, there are three different intensities of retinoid. The strongest is pure retinoic acid which is a prescription only drug. The second is retinol which is weaker than retinoic acid and sold over the counter. And the third is retinol derivatives which are quite gentle and also sold over the counter. There might be minute irritation while using retinol but there is a way to minimize it by using retinol strategically. Dr. Rogers suggests users to use a derivative twice and week to keep it manageable for the skin. In case your skin does not respond well to this formula, try using a moisturizer before that. Once, your skin gets comfortable to this frequency, you can increase it gradually. 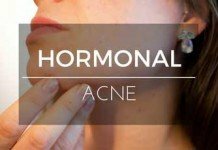 It takes around a month or so for your skin to get improvement in your acne. So, do not expect overnight results. According to Dr. Rogers you should wait for at least three months to see the results for a retinoid product. Although all the products come with a “How to Use” label and the same goes for retinol creams, there is still a need to understand how you should be using a retinol cream. The appropriate timings and sequence of application matters a lot. So, below is a brief discussion in the light of a dermatologist’s advice on using retinol creams. The first ritual that you perform after cleansing your skin at night should be the application of a retinol cream. Applying retinol cream after cleansing your face in the morning is not recommended at all. The reason behind this is that sunlight can deactivate retinoic acid and you won’t be able to get the benefits. Besides, while using retinol you need to wear sun protection whenever you are outside home as retinol makes your skin photosensitive. Although some skin types handle retinol really well, there might be a chance that you suffer from irritation that includes dryness, flaking and redness. So, you first need to check out how your skin responds to retinol. Apart from this, since retinol might be a bit drying, it is a good practice to follow up with a moisturizer. This will prevent any drying that might take place. Retinol is a mild version of Vitamin A but is very beneficial nonetheless. It should be kept in mind, however, that you are not supposed to whip a truckload of it on your face whenever you get the chance. Slight care should be taken when using products with retinol. Retinol is reported to have quite adverse effects when worn into sunlight. Retinol is photosensitive and reacts with sunlight making your skin more prone to sun damage. So make sure you do not go to the beach wearing retinol based products. It is best to use at night and can be applied overnight to great effect. Renowned doctors advise that spreading the regime of starting with retinol based products over a period of time is the way to go. Doctors usually recommend using it once every week and then increasing frequency as time goes by. But, increasing it to more than once every night is not recommended! Four to five times a week should suffice. Retinol is a complete recommendation for anyone wanting to rid acne off their bodies but it may also render some slight side effects. Firstly, you will almost surely notice the irritation it causes on first application. Retinol, and all vitamin A based products for that matter, have a tendency to cause itching and irritation until the body creates a toleration to it. Retinol will also leave the skin dry and flaky. This is because it speeds up the death of skin cells on the top layer of the skin. The skin may also turn red and peel due to the abrasive effects. Retinol based products are also not suitable for people with eczema or rosacea. Pregnant or breast-feeding ladies should also keep their distance form Retinol or any Vitamin A products. This is because it is known to cause birth defects in rat offspring. It may seem far-fetched but taking chances is obviously not recommended at such crucial life junctures. In some extreme cases and overly sensitive skin types, retinol may cause harmful effects. So if the usage of retinol is causing severe irritation (even at low dosages), or it is making the skin swollen and red, discontinue any usage to avoid further harm. Firstly, to overcome the irritation it causes, it is absolutely essential that you start with lower concentration products and use the sparingly. Then build up the use as your body grows used to the level of Vitamin A exposure. 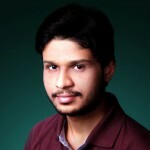 You may grow up to higher concentrations and higher frequency of application but you must ensure that you do not rush your path and do more damage than benefit. Note that you must understand your skin yourself and not try to speed through the levels because someone else ‘moved to the other serum within a week’ and you are assuming you can as well. It is also recommended that you use moisturizers and other skin soothing products to keep the negatives to their minimum and to also achieve the best results. Retinol is not a one stop shop for all your skin worries. Retinol is indeed very powerful but a combined approach with plenty of moisturizers, cleansers and antioxidants works best to keep your skin in tip top shape. Using a cleanser or scrub daily is very beneficial and it can also clear away the dead cells on the top layer building up due to the retinol effect. Keep your skin hydrated and moisturize often. Try staying out of the sun as much as you can. If you are outside then limit hours between 10am to 2pm as this is the time when radiations from the sun are at peak. Always wear a sun block with an SPF of 30 or more. In addition to this, wear clothes that cover more and don’t shy away from a large brimmed hat. Now that we have gotten an understanding on how retinol and Vitamin A based products work, it is time to dive in and analyze some of the best products circulating the market so you may find the perfect match for your skin and indeed your pocket. Below is a list of few things that you should know about retinol and retinol treatment. Let’s have a look. Retinol is way more than just a spot treatment. So, instead of dabbing it only onto your blemishes or dark spot, smooth retinol cream all over your face. It provides you a youthful skin by reducing your wrinkles. According to dermatologists you only need a pea-sized amount to cover your entire face. Just spread it onto your face and absorb it with your fingertips. Start with a lower concentration of retinol. Oilier skins tend to tolerate a stronger concentration than sensitive and dry skins. Apply retinoid products at night so you don not need to worry about getting its complete advantage. Most forms of retinoids are photolabile which means that they decompose with sun exposure. Do not apply retinol creams on damp skin. Retinol is a powerful stuff. Applying it on damp skin will make retinol deliver deep into skin which might irritate and dry out your skin. Retinoid is not supposed to be used by pregnant or nursing mothers. Other alternatives can be adopted such as azelaic or glycolic acid. Your skin might suffer from irritation before it gets better. In the initial couple of weeks, you might experience dryness, light breakouts and irritation. But this is normal and you should continue using retinol. After 4-5 weeks of use you will notice improvements. You need to be patient and dedicated as you won’t witness complete results unless you have used retinol for about 3-6 months. Wouldn’t it be nice to enjoy the proven benefits of retinol without having to worry about the potential side-effects of high concentration medicated creams? 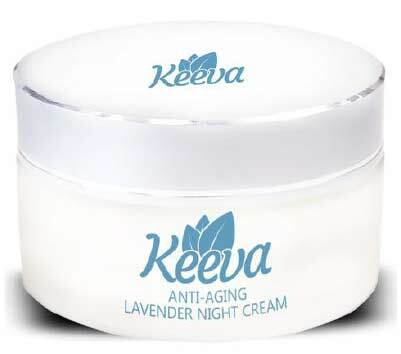 This is what you get with this night cream from Keeva Organics. Best For: Oily, Acne Prone Skin, And Sensitive Skin. Active Ingredient: No active ingredients. 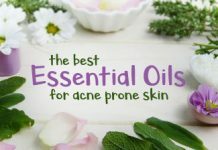 It employs a blend of hyaluronic acid, organic jojoba oil, shea butter, retinol, and vitamins C and E.
Among the very few products available that boast natural ingredients along with retinol. The proven natural and scientific ingredients in this night cream are carefully chosen to recover damaged skin, boost elasticity, and remove the signs of ageing. Can also work as your day time moisturizing cream without clogging pores. Nice mild smell that doesn’t irritate. 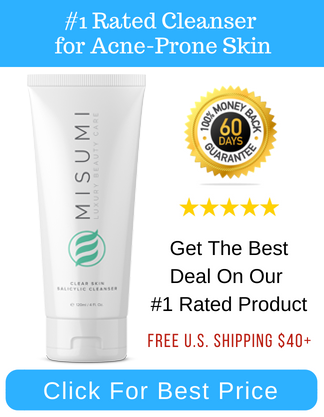 Has more focus on moisturizing and repairing skin than clarifying it. Relatively small Jar, does not last for long. Best used daily once before going to bed. Just take a small amount in your hands, gently massage on your skin until absorbed. The RoC cream is a gem created by the people at RoC. With Correxion, they have done nothing wrong and whipped up a massively successful award winning formula. Using this cream will very likely leave you with significantly lesser acne and an even skin tone. Use once every two nights then work your way to daily application. The La Roche-Posay anti-aging cream holds a special place in many users’ eyes and enjoys an outstanding reputation even with dermatologists! The cream is specially designed for use on the eyes abut can remove wrinkles all along the surface of your body. The cream is has won several awards which boast of its reliance and effectiveness. The cream is very gentle and soothing and can be used by people of almost all skin types. Gentleness make it less effective for areas other than the eyes. The Neutrogena Rapid Repair Cream is a great option if you are looking to wipe away the wrinkles off your face. Applying it regularly will make very significant reduction in wrinkles in just a week. The persona and brand quality of Neutrogena is not put to the sword with this cream as it upholds the high banner very well. Keep use limited to night and apply carefully, keeping in mind the high strength of retinol. Apply less frequently until you are sure your skin can handle a higher dose. Murad Skin perfecting lotion works in a lot of ways to give your skin health and consistency. The lotion is a dermatologist favorite and will clean away a majority of your skin concerns with consistent usage. Long term effects of using this lotion regularly surpass nearly every other lotion and is one of the best you can buy. Reduces oil production in oily skin and stabilizes uneven areas of the skin. You can achieve great results when used in tandem with a cleanser. Just apply the cleanser before the lotion. The SkinCeuticals cream is a very strong cream and definitely one that works. 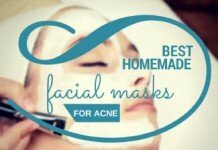 If you want to remove your acne and wrinkling problems then this will surely help you. The cream is a very strong cream that can work actually like the ‘hard to believe’advertisements! With this SkinCeutical cream, you can be sure of getting extreme action going on your skin! A high effect cream for sure! It can help the ones on whom other creams have been ineffective. Bioelements Oil Control cream is a very good option for a healthy night time beauty regime cream. It has very significant effects at making the skin look healthier and younger. It can remove wrinkles and acne and has an overall healthy and beautifying effect for the skin. This should be the product for you if your skin oils itself to the extreme! The iS Clinical Serum is the holy grail for the sensitive skin type! The serum is ultra-effective for a number of skin problems that may present themselves. 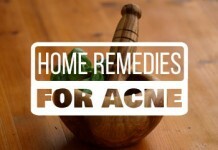 These problems include acne and rosacea. 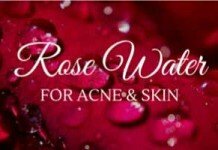 There may not be a better product available to put a rest to chronic rosacea and acne! The Obagi360 Retinol 1.0 adresses a multitude of problems that are faced by people around the globe. It is surely a top of the line product and one to beat in the market. The cream is strong yet gentle. It contains a high concentration of retinol (1%) but is time released which makes it gentle towards the skin. Has a high concentration of retinol but is still pretty gentle. The Advanced Clinicals Retinol Cream focusses on hydration and moisturizing. The cream is specially designed for salon professionals and offers a lot of answers to many skin problems. The cream claims to remove wrinkles and aging effects with gentleness. It also reduces dark circles and puffy eyes. The cream can perhaps be classified in the slow firing category which prefers to do its work gently with consistency rather than a hard hitting quick and dirty solution to the problems. Powerful anti-aging formula that removes wrinkles and blemishes. It smoothens uneven skin patches. Massage it on gently onto your skin focusing on wrinkles and affected spots. The Jan Marini cream is a fantastic cream for your skin problems. The cream was the 2013 NewBeauty award winner and deservedly as well. The cream works very well to relieve all skin problems including acne and wrinkling. The product contains a high level of retinol (0.5%). 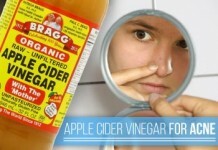 It also works to close large pores that are unhealthy and unwanted. 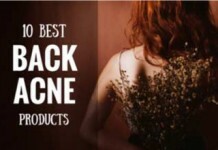 Paula’s Choice offers a wide range of skincare solutions for face and body. They have a treatment line for all types of skin. And this product is a two in one moisturizer and retinol cream. Lets you achieve a firmer-looking radiant complexion with the help of its research-proven ingredients. This retinol formula accelerates skin regeneration which unclogs your pores and treats acne. Makes a thin barrier on your skin preserving its moisture level. Ingredients like shea butter and squalene help you in eliminating the drying effect of retinol. Has a formula that enriches the hydration of your skin so that you do not need a separate moisturizer. Contains licorice and chamomile extract that soothe your skin and heal any inflammation present. Is a solid choice for anyone who has a sensitive skin due to its fragrance-free formula. Not good for oily skin as it holds the tendency to cause oily skin terrible breakouts. Might cause allergy to someone who is sensitive to phenoxyethanol. Contains various different botanical extracts that might cause allergic reaction. Apply on the face, neck and eye area. Follow with a broad-spectrum SPF 25 or greater at day time. Use as the last step of your skincare regimen at night time. Differin Adapalene Gel is one of the top retinoid products available over-the-counter and is FDA approved. It heals current acne condition and prevents future blemishes. It takes around twelve weeks to witness complete benefits while improvements can be seen in as little as two weeks. Best For: Oily to combination skin. Combats acne by stimulating the shedding of dead skin cells and reduces inflammation in the deep layers of skin. Prevents clogged pores which reduces your chances of getting whiteheads and blackheads. Superfast formula as it claims to reduce 87% of acne in just 12 weeks (according to Galderma Laboratories). Improves skin tone and texture giving you an overall radiant skin. Comes as a pack of two and lasts for 60 days. It is an alcohol and fragrance-free formula. 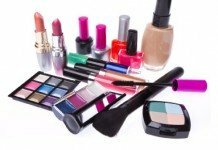 Contains methylparaben and might be abrasive for sensitive skin. Tends to cause dryness and needs to be followed by a moisturizer. Does not contain anti-oxidants and moisturizing ingredients that nourish your skin. Has strong retinoid concentration which is not ideal for delicate skin. Cleanse skin with a mild cleanser before applying this gel. 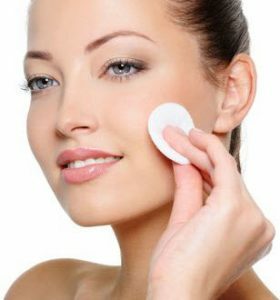 Cover the acne-affected area with a thin film. Use only once a day. As the name suggests, this product is a night facial moisturizer and works wonders for you while you sleep. It claims to give you a healthier looking skin with visibly flawless tone in just two weeks of use. Since this is a moisturizer it helps you in defying the signs of aging. Retinol SA renews your skin efficiently and it is scientifically the most superior form of Vitamin A. 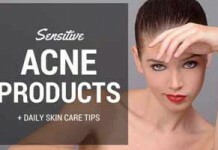 It is a non-comedogenic product and does not clog your pores. Infused with Hyaluronic acid that provides ultra hydration and rejuvenates your skin. Diminishes dark spots, fine lines and wrinkles. It contains alcohol and different compounds of parabens hence it is not recommended for sensitive skin. Does not prove to be effective for extremely oily skin. Apply overnight on a clean skin. Take a pearl-sized amount and smooth onto face in upward strokes until absorbed. So there we are with an in-depth review of retinol based products and knowledge about retinol. 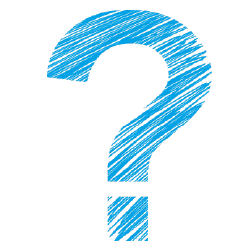 Let us know your experience with the products in the comments section below or tell us if we missed out a product that is the apple of your eye! Best I have ever used is Monsia.